+$Top-flight designers have put together a collection of awesome WordPress themes that you can get access to for a full year. +$You can count on the extremely talented designers at Themify to help you get the look you need for your website. These experts have crafted themes that are perfect for artists, bloggers, and creatives of all shapes and sizes. There's no coding required, and you'll get amazing themes, plugins, and addons that will make your website stand out from the crowd. 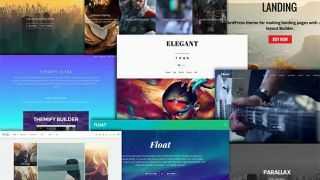 +$Great WordPress themes don’t usually come cheap, but you can score a full year of Themify Unlimited WordPress themes usually retails for $139. But you can+$get it now for just $34.99+$(approx. £27). That's a 74% savings on a can't miss offer, so grab this deal today!